Last month saw BOA members joining with Lichfield & District Organists' Association for a pre-Christmas dinner at which our guest speaker was Dr Roy Massey, MBE. Roy retired from his post at Hereford Cathedral in 2001 after more than a quarter-century of service there as Organist & Master of the Choristers, having previously occupied various organist posts in Birmingham - including at our cathedral. 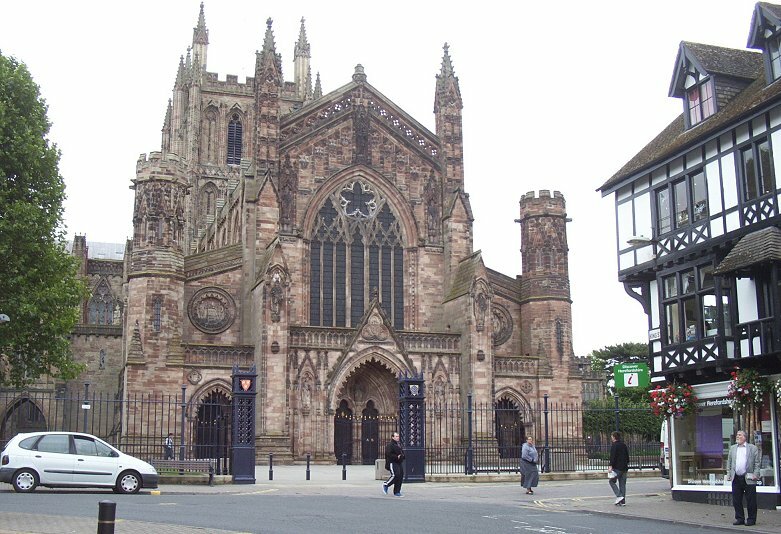 So it is appropriate this month to feature Hereford's much admired Willis organ, especially as your Webmaster had the pleasure of visiting earlier this year when our President, Paul Carr, gave a recital. 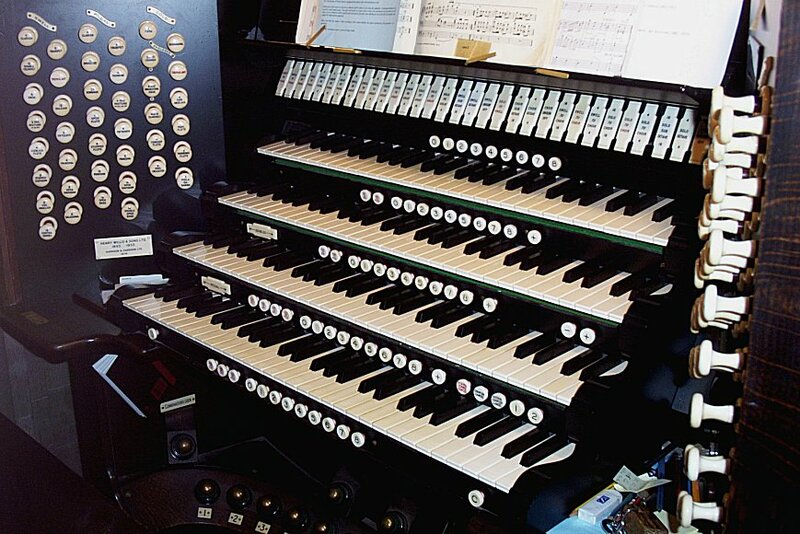 This famous "Father" Willis, built in 1892, was subsequently modified by Henry Willis II in 1909 (when a 16ft Ophicleide and 32ft Bombarde was added to the Pedal Organ) and rebuilt by Henry Willis III in 1933, when the present detached console was provided on the north side, opposite the case. 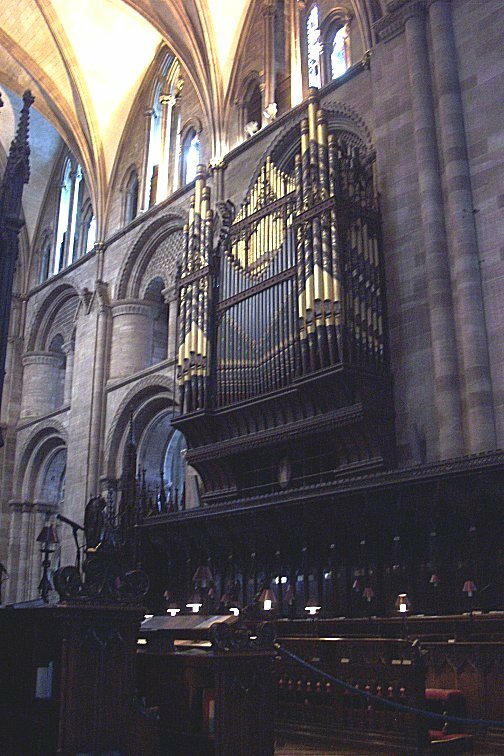 Harrison & Harrison undertook restoration work in 1977-8, since when they have maintained the instrument, but essentially the organ remains tonally as Willis left it. 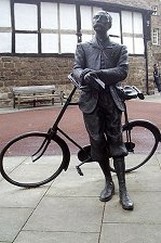 Extensive refurbishment work was carried out in 2004, again by H & H, with a grant of over £1/4 million from the Heritage Lottery Fund.